Hi beautiful people! The week is over and this means I have a couple of days to get ready for my trip to Dominican Republic. Yep, I am going back to Punta Cana - a nice surprise from hubby. Our first visit to Punta Cana was two years ago when I planned a surprise trip for my husband and we fell in love with the country. Everyone seemed to be friendly and the beaches were amazing. Our first visit was adventurous as we did everything from horse-back riding, ATV rides and catamaran cruises which I documented here and on my YouTube. This time around, we will just relax on the beach while enjoying the warm weather before our little munchkin arrives. I will definitely keep you updated with outfit posts here and fun details on my instagram and twitter. 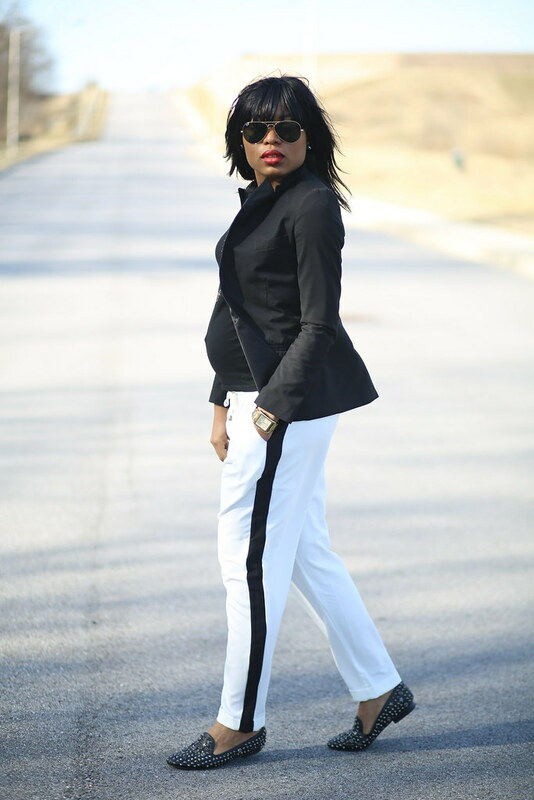 I wore this black and white ensemble for an evening night out with hubby. I like comfy outfits due to my bump and I lean towards pants with drawstrings. This pair is pretty comfortable and stylish. There is a big emerging "black and white" trend for spring 2013. This is another take on the trend as previously seen here. This time around, I wore a v-neck tee for a casual feel and white shoes to complement. White shoes are also another big trend to look out for and I love the pointed structure of my shoemint shoes and the edgy feel of the straps. Have a wonderful day and Thank you so much for all your support! You look amazing! Enjoy your babymoon! Glad you got some relaxing time! I swear if I ever have another kid I pray I am as cute as you are. Love the classic black and white! U make every outfit look really good. Love the monochrome look! And I'm mostly loving those white heels. Love the look! Easy, simple and clean. Hope you have fun on your trip, your white heals are amazing! I just love the black and white combo. It suits you. You are a gorgeous mom to be! Love this look! the nails, the shoes, everything about this is amazing!! 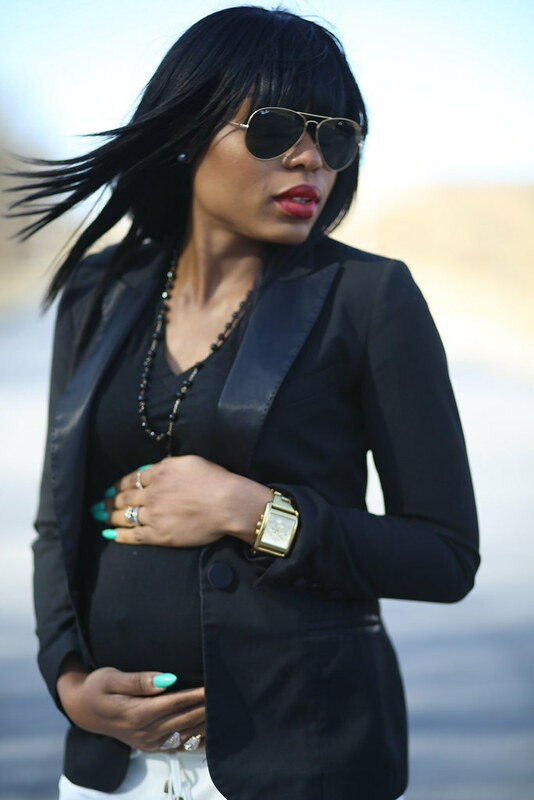 and i love the fierceness in wearing heels midway through pregnancy! Chic mama to be! I hope you continue to have a healthy pregnancy. Love the white heels and I love both switches to the outfit!! !